1) What’s the Best Way to Transfer Funds Internationally? 11) Challenge: a Bible Dictionary and Commentary in French? 12) Make a Connection with your Muslim Friend at the Connexion Conf. The default assumption for some is to ‘wire’ the funds (bank to bank transfer in a traditional bank ‘wire’). Others are now using ATM approaches — but doesn’t this always require the slight problem of having to physically ship (or carry) an ATM card to your overseas friend? And then there’s PayPal — but are the requirements for PayPal too much for some overseas friends living in remote lands? The choice I’m most interested in learning more about at this time is the Moneygram.com approach. On the surface, it looks a lot handier than a ‘wire,’ and lots less troublesome than an ATM transfer (if you haven’t handed off an ATM credit or debit card to your overseas friend). 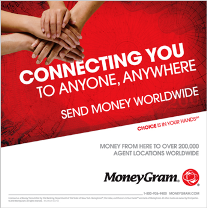 Using your credit card from your laptop, your overseas friend can simply pick up the cash from a local moneygram.com vendor (assuming one is nearby, I guess) in MINUTES (literally), without having to log on to an online service and without having to show a credit card of any kind. If you want the money to come from your bank account, the delay is still only 3 days. Does anyone else have experience with Moneygram.com? …or a better approach? Recently, I’ve found myself discussing the “M” word (“missionary”) with more than one worker from a sensitive land, especially regarding families with kids. The question, in particular, is “How to handle the “M” word when mommy and daddy are working in a creative access country (for example, launching a business as missions platform). Some families say “all Christians are missionaries” then define the term. 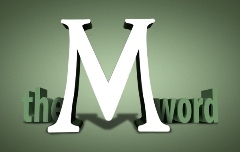 Other families avoid the “M” word all together. There are opportunities for comparisons with other paradigms. When your kids were little, how did you handle the concept of Santa Claus? [plot spoiler: If your kids are reading this with you, and they still ‘believe in Santa Claus,’ better stop reading right now :-) ] If you decided to tell them the truth about Santa, how did you instruct them to handle that “truth” in relation to other children… when, for example, they were playing with kids whose families handled it differently? This is an important topic — and it’s one that could easily cause trouble for a family who chooses to live for Jesus in a sensitive land. Your thoughts? However, we’re hearing rumors that this curriculum has now gone out of print. Can anyone verify this? And, if so, has anyone found anything that can compare — reasonably priced, reproducible, effective, interesting? Please click “comment” below the web version of this item to share your own findings. And thanks in advance for filling us in. acmisearchcommittee gmail com for more information and an application. Applications must be received by June 1. …for ACMI, who empowered the global ministry of Brigada with a $25 gift this past week. …for another anonymous Brigada reader — for a gift of $25. Thank you. It won’t cost you anything. In fact, it will SAVE you $50 in the admissions cost! One personal friend recently wrote, “I think the new logo nails it… that it’s communication-based [newsletter] that helps individuals and should be forwarded, that it advances the conversations and the kingdom, people-based,… [and] BTW I love 99designs as well so good choice!” We think so too … and thanks for the encouragement! … Mission Network, Mount Vernon WA, a Golden Fan of Brigada, for the gift of $100 this past month. They have set up a recurring $100/month gift with the hopes that others will be inspired to do the same. Thanks Mission Network!!! 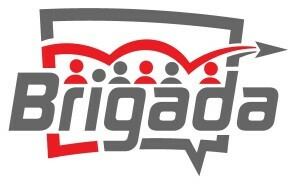 … World Outreach Missions, Lawrenceville, GA, for their regular $200 gift to Brigada. We’re grateful!!!! !